Solar screens cut electric costs and increase privacy. Texas Screens Unlimited uses only the top rated Phifer SunTex fabircs. Phifer SunTex fabrics are a heavy-duty woven mesh designed to reduce glare and block out the sun’s heat before it reaches your windows. 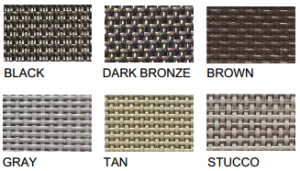 SunTex is ideal for use as a shading fabric while still offering good ventilation. 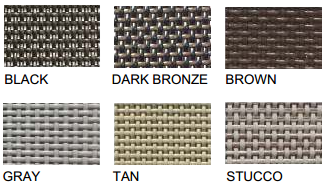 SunTex fabrics are made of vinyl-coated polyester and are mildew and fade resistant. We offer SunTex 70, SunTex 80 and SunTex 90.
blocks 70% of the sun’s rays and is pet resistant. Microban proctection and is lead free.